Many people now are considering taking a freelance job full-time or part-time. It’s obvious that this platform has made it convenient for both the client and the freelancer with faster outputs compared to hiring a full-time one. But if you’re doubtful and still uneasy on how a freelancing works, then this article may provide some clarity. Starting out can be an incredibly daunting tasks when you don’t have any clients yet. It can take out a chunk of your time just building your portfolio, doing semi-important activities and playing or working on invoicing tools and not work on finding clients. Remember that you’re not working if you’re not networking. Next is finding a niche. You needed to streamline all your knowledge and skills in this one niche first and from there you build up other skills. This way, you will build your credibility in an area until you can demand a certain price for that service. Online outsourcing platforms such as Odesk and Elance is a good place to start. You can start bidding for a project even without having any portfolio yet. With this, another challenge may come: working with clients. You will encounter many clients from various part of the globe with different temperaments. This is a good way to practice communicating well with people in various backgrounds in the future. During your first few biddings, your services may not be worth much as much as you’d like. You need to build your credibility first before you can demand a price for your work. The goal is not to take in a lot of money yet but to get more experience first. In the early stages, having experience is better than an hourly rate. If this doesn’t appeal to you, you can opt to post your portfolio in LinkedIn. You’ll need to set an account there first and then network. In here, you can reach past employers, clients and even past clients you’ve worked for. You can tap them and let them know that you’re doing this as a side-line job. This may be a shameless plug but it definitely pushes you out of your comfort zone. This is a good practice to ‘sell yourself’. There are bound to be clients who will decide their price based on value. As you build your reputation, you can eventually put a price on your services. This may also come as your first line of defense for filtering clients you’ll want to work with. If you know you’re adding value to your client’s budget, it won’t be hard for them to invest on you. 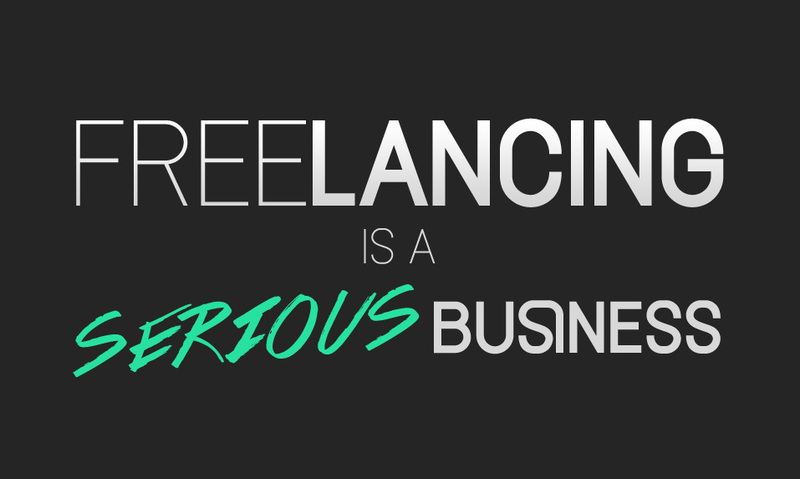 Freelancing is not just flexible schedule and convenient workspace, it also meant hard work. Before jumping the gun and quitting your job and take freelancing full-time, assess first if you’re mentally prepared for this. Since you’ll be the boss of your time, it will require a lot of discipline and patience to get things going right for you. And lastly, don’t bite off more than you can chew. Take things at your own pace (and sanity) and you’re on your way to a successful career in this industry.